Our Mission is to use modern technology to create interactive experiences that allow us to better understand mechanisms of brain function and harness the brain’s inherent plasticity to enhance our cognition, refine our behavior, and ultimately to improve our minds. When it comes to physical fitness, the pursuit of optimal performance has been a growing global obsession for decades. Strength, endurance, power, speed, flexibility, balance, coordination… all these abilities have specialized programs, practitioners, and equipment to optimize them. But what about optimizing those core functions that define our cognition: memory, attention, perception, decision making, emotional regulation, compassion and wisdom? Our education system has focused on the transfer of information content, without assessing and optimizing the underlying cognitive processes that learning relies upon. Our mental health care system has become reliant on diffusely-targeted drugs and non-personalized prescriptive practices, yielding limited benefits and negative side-effects. A fundamental challenge for modern society is the development of effective approaches to optimize and maintain high-level brain function in both healthy and impaired individuals. The full range of practitioners that support our education and healthcare systems — teachers / coaches / therapists / trainers / psychologists / psychiatrists / neurologists — could be better equipped with modern and effective tools to assess the brains they are trying to help. And their effectiveness in invoking change could be dramatically enhanced with targeted interventions to engender meaningful and sustainable optimization of the neural systems that underlie cognition. 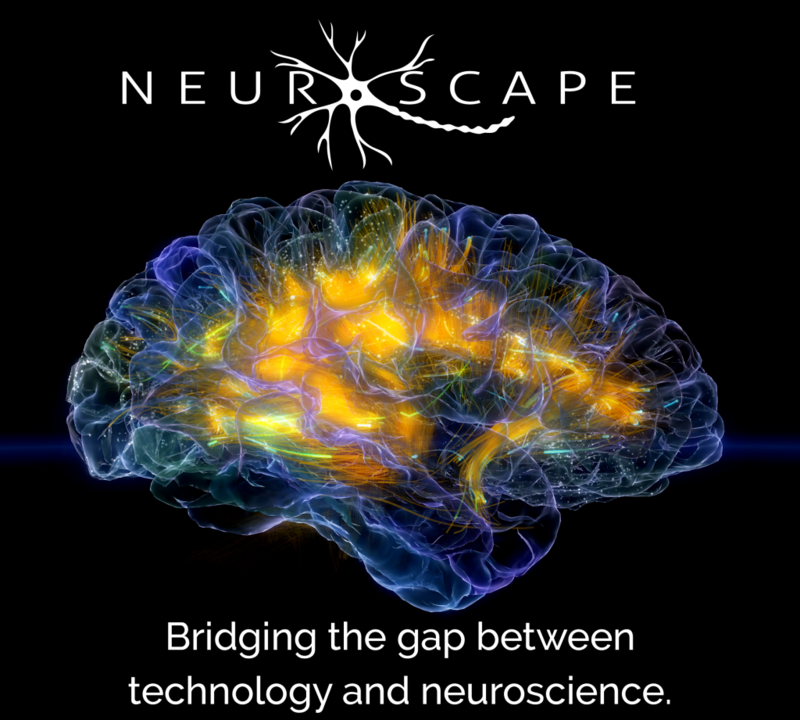 At Neuroscape, we believe that recent innovations in affordable and accessible, consumer-facing technologies can give rise to new approaches for education, wellness and medicine. We are now standing on the verge of a phase shift, with the emergence of consumer-level virtual reality, augmented reality, 3D video game engines, wearable physiological devices, motion capture, and artificial intelligence algorithms. While current and emerging software and hardware have been largely directed at entertainment and communication, we believe that this same technology can be used as tools to impact our brain function and behavior in a positive and enduring way. This is possible because high-tech can be used to create powerful experiences. And salient experiences are a gateway to our brain’s plasticity… that complex dance of change that occurs in all of our brains, all the time, at every level – from structure to chemistry to physiology. To accomplish our Mission, our Approach is to develop and validate new technologies to assess brain function in a more real-world manner and optimize its function via a system that is targeted, multimodal and personalized.